Jake Gibbons, B.S., Tyler Marion, B.S., M.B.A. 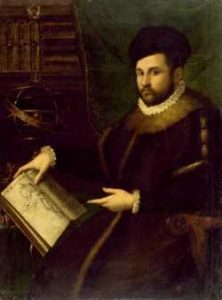 In 1572, Italian physician Geronimo Mercuriali, Hieronymus Mercurialis in Latin, published De morbis cutaneis. This storied book, whose title translates to “On Diseases of the Skin,” is the first published manuscript dedicated to diseases of the skin.1 In this work, Mercuriali outlines various dermatologic diseases, describing the physical manifestations of such conditions and proposing various homemade, therapeutic concoctions. In De morbis cutaneis, Mercuriali spoke on diseases of the skin and explored excrements of the human body. In the section specifically dedicated to human excrement, entitled De Excrementis, he discussed urine, feces, sputum, cerumen, sweat, tears, and mucus.2 Within the section on diseases of the skin, Mercuriali made his own observations and listed unique physical findings of skin disease, and proposed treatment regimens for each condition. His treatment for scabies was particularly interesting. He suggested a mixture of egg yolk, chicken fat, rose oil, and butter (amongst other ingredients) be churned into a lotion that, when applied to the affected site, would cure the disease.2 While such treatments are largely obsolete, Mercuriali was an early figurehead in medicine, and his work in De morbis cutaneis contributed to the early practice of dermatology. Peltier L. Geronimo Mercuriali (1530-1606) and the First Illustrated Book on Sports Medicine. Clin Orthop Relat Res. 2007 Feb;455:19-22. Sutton RL Jr. Diseases of the skin. Mercurialis, 1572. Arch Dermatol. 1966 Dec;94(6):763-72. This entry was posted in Jake Gibbons, Tyler Marion, UTMB and tagged Geronimo Mercuriali, history, humanities, pharmacology, scabies, skin disease by Tyler Marion. Bookmark the permalink.